Identifying and understanding the shape of your roof can help you select the shingles that can give your roof the most curb appeal. Certain roof designs look fantastic with certain roofing materials like slate, wood shake, or tile. For example, a Mansard roof is best paired with slate or asphalt shingles that look like slate. Choosing shingles that mimic the appearance of these roofing materials can boost your home’s curb appeal. Your chosen roofing shingles need to complement the color of your home’s brick. This is because the other exterior parts of your home can easily be repainted or change in color, but brick is more or less permanent. This also goes for the other permanent features on or surrounding your home like the landscape. Try not to choose shingle colors that match the color of your landscape or brick, however, because monotony doesn’t look nice. Instead, choose a complementary or analogous color. Your budget is a big factor, but you should remember that there are multiple quality options for any budget. A lower price doesn’t necessarily mean a better deal. Instead, focus on getting the most quality or value out of your roof replacement budget. Talk to your contractor about the roofing products they offer and ask them for advice on the best shingles for your needs. Ask them for color samples and pictures of previous roofs they’ve installed so you can see what your new roof will look like. We can help you with your residential roof replacement or roof repair. 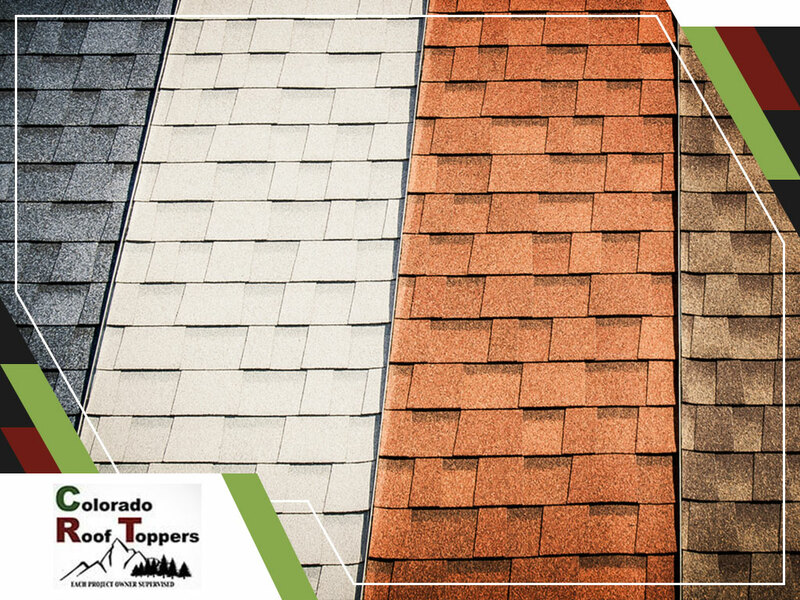 Colorado Roof Toppers is one of the few GAF Master Elite® contractors in the country with over 37 years of roofing experience and expertise. We have also won the prestigious GAF President’s Club award for the quality of our services. Call us at (720) 239-1233 or at (970) 237-5009 to learn more about our services and products. We serve Fort Collins, CO, and nearby areas.